CHESTERTOWN, MD—The 60th Season of the Washington College Concert Series will bring international artists to the Gibson Center for the Arts to perform a range of classical and modern music. Pianist Pedja Muzijevic opens the series Friday evening, Sept. 30, and the guitarists of Duo Orfeo follow in November. The new year will offer the strings of Cuarteto Latinoamericano in February, cellist Astrid Schween in March and mezzo-soprano D’Anna Fortunato in April. Tickets to individual concerts ($15, or $5 for youth ages 18 and under) and season tickets ($50 for all five concerts) can be purchased at the door or in advance by mail. Patron levels, which include season tickets, begin at $75 per person. Washington College students are admitted free with a valid ID. There are no reserved seats. To purchase tickets or for more information, please call 410-778-7839 or email concert series director Kate Bennett at kbennett2@washcoll.edu. Pedja Muzijevic, piano, Friday, Sept. 30, 8 p.m., Decker Theatre. 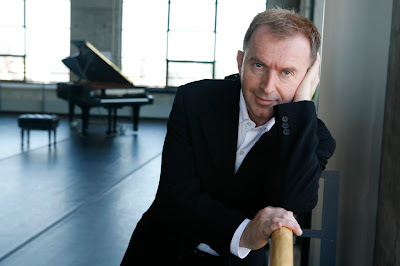 Pianist Pedja Muzijevic has toured extensively as soloist with orchestras and as a recitalist throughout the world. His artistic curiosity has led him to explore both the music of the 18th and 19th centuries on period instruments and the music of such contemporary composers as Knussen, Carter, Cage, and Crumb. Muzijevic has performed with major symphonies from Tokyo to Boston and has soloed in venerable venues that include Alice Tully Hall and Lincoln Center in New York, and Teatro Municipal in Santiago. His Carnegie Hall concerto debut playing Mozart Concerto K. 503 with the Oberlin Symphony and Robert Spano was recorded live and released on the Oberlin Music label. His recording “Sonatas and Other Interludes,” available on Albany Records, juxtaposes music for piano prepared by John Cage with composers ranging from W. F. Bach to F. Liszt. As a chamber musician, Muzijevic has toured internationally with Mikhail Baryshnikov and the White Oak Dance Project and with Simon Keenlyside in Trisha Brown’s staged version of Schubert’s Winterreise. 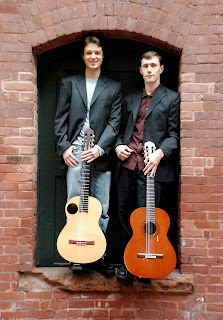 Duo Orfeo, guitar duo, Friday, Nov. 11, 8 p.m., Hotchkiss Recital Hall. The innovative Duo Orfeo uses both classical and electric guitars to explore a diverse body of music from traditional western compositions to their own bold arrangements. Joseph Ricker and Jamie Balmer met in 2001 as students of guitarist Phillip de Fremery, a pupil of Andrés Segovia. Four years later, they recorded their first album, The Grace Sessions, which includes music of Bach, Brahms, Boccherini and Albéniz. They formed Duo Orfeo in 2007 and have since performed regularly throughout New England and in New York City, often taking their music into less expected venues such as jazz cafés, bookshops, farmers’ markets, art galleries and union halls. In 2009 the pair released a second album, Duo Orfeo, featuring music of Federico Mompou, Eric Satie, Frédéric Chopin, Radamés Gnattali, and Francesco Da Milano. In April of this year, Duo Orfeo participated in the critically acclaimed “Machines” project, a live performance art collaboration with pianist Oni Buchanan, trombone quartet The Guidonian Hand, and kinetic sculptor Arthur Ganson. “Machines” featured the world premiere of their arrangements of the music of Arvo Pärt for electric guitar duo. For more: http://www.duoorfeo.com/. Cuarteto Latinoamericano, Tuesday, Feb. 14, 8 p.m., Decker Theatre. Cuarteto Latinoamericano, formed in 1982, is known worldwide as the leading proponent of Latin American music for string quartet. This award-winning ensemble from Mexico consists of the three Bitrán brothers—violinists Saúl and Arón and cellist Alvaro—along with violist Javier Montiel. The Cuarteto has recorded most of the Latin American repertoire for string quartet, and the sixth volume of their Villa-Lobos 17 quartets cycle, recorded for Dorian, was nominated for a Grammy award in 2002 in the chamber music category. 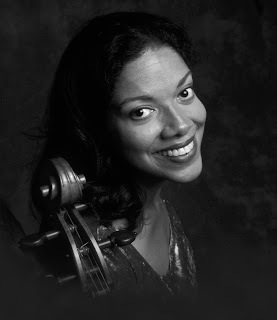 Astrid Schween, cello, with Gary Hammond, piano, Sunday, March 25, 4:00 p.m., Hotchkiss Recital Hall. Ms. Schween received her training at the Juilliard School, where she was twice awarded the Cello Prize. After performing as soloist with the New York Philharmonic as winner of their Young Peoples’ Competition, she was selected by Zubin Mehta to study in London with Jacqueline du Pré. D’Anna Fortunato, mezzo-soprano, with Peter H. Bloom, flute and alto flute, and Mary Jane Rupert, piano, Saturday, April 14, 8 p.m., Hotchkiss Recital Hall. Fortunato has appeared as a soloist with America’s top orchestras, and with leading opera companies that include the New York City Opera, Glimmerglass, and Opera San Jose. She has appeared at numerous major international music festivals and has recorded 40 CDs. In 2006, she was a Grammy nominee in three categories, including best classical vocal recording. For more: http://phbloom.home.comcast.net/~phbloom/dannafortunato.html/. Flutist Peter H. Bloom has given concerts from Boston to Bangkok and appears on 30 recordings from labels including Sony Classical, Dorian, Leo Records and Newport Classic. Winner of the American Musicological Society’s coveted Noah Greenberg Award, he is a distinguished classical artist and a noted jazz player. Pianist and harpist Mary Jane Rupert has given solo recitals from Carnegie Hall to Beijing Concert Hall and has appeared with symphony orchestras and chamber ensembles throughout the United States. 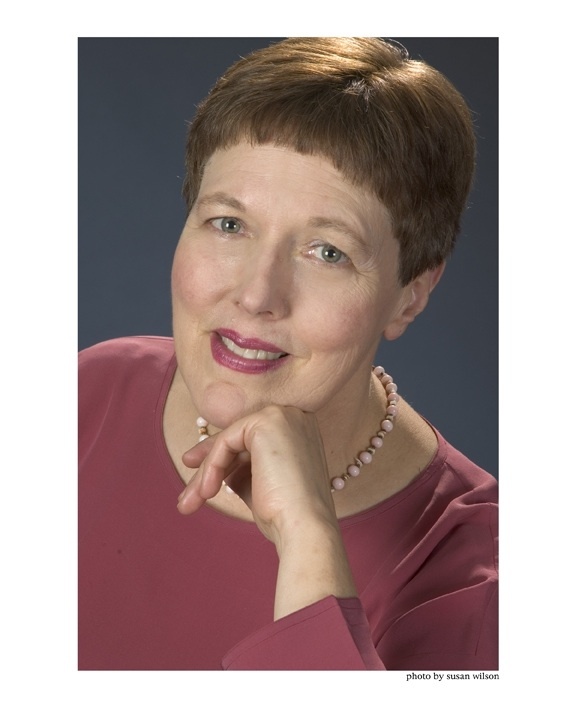 She serves on the music faculties of Tufts University, Boston College and MIT.